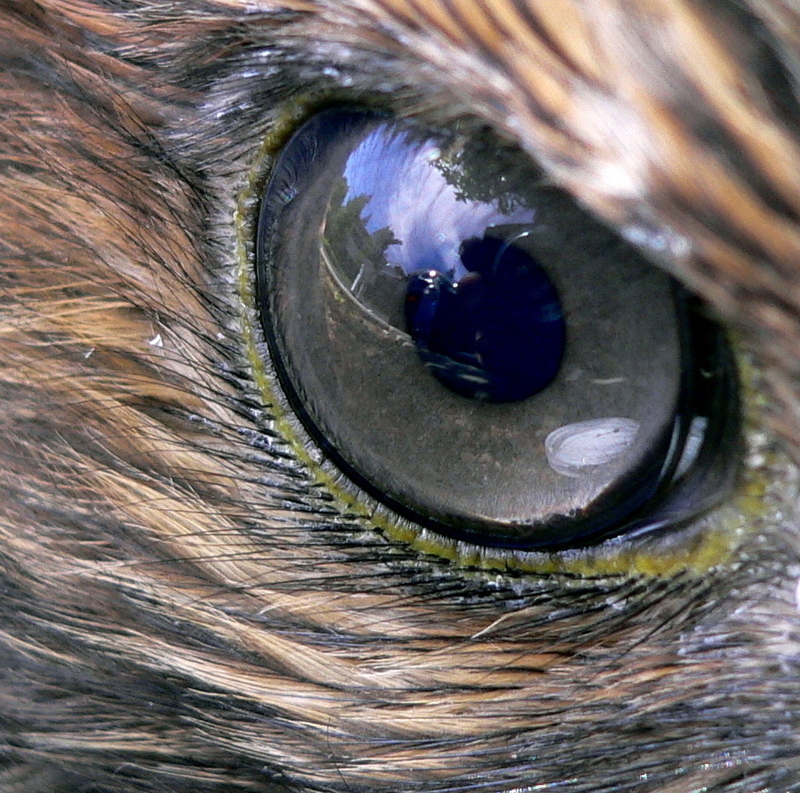 The Red-tailed Hawk is a beautiful bird of prey with it's magnificent red tail feathers being it's trademark. Sometimes it is referred to as a chicken hawk although it rarely feeds on chickens but it is a very capable hunter. It has been used frequently in the U.S. in the sport of Falconry. In the wild it lives in a wide range of habitats throughout North America including Alaska. It is also known to mate for life. The Red-tailed Hawk has significance in Native American culture where it's feathers are considered sacred by some tribes and are used in religious ceremonies. It is currently legally protected in Canada, Mexico and the United States by the Migratory Bird Treaty Act. This week a webcam has been set up in Fresno county, California to watch a Red-Tailed hawk nest. People throughout the world will be able to follow the central California hawks as they prepare the nest for next year's egg laying, hatching and rearing. The webcam will continue to roll throughout the whole time. The nest is located on a ranch owned by former Pelco chief executive officer David McDonald. Pelco became fascinated earlier this year watching the eagle's nest webcam set up in Decorah, Iowa which ended up getting over 200 million hits. David McDonald decided to work with Bob Anderson (in setting up the falcon webcam) who is an expert on birds of prey. He also works for Minneapolis-based Xcel Energy, serving eight states from Minnesota to Texas. In the 1980's Anderson started the 24/7 observation of falcons as he was helping to restore their population. In 1988 he set up a large nesting area for falcons at an Xcel plant and the falcons began using it. Then around 1990, he installed a camera and started getting a black and white feed. From there the idea of the bird watching webcam was hatched. Check back frequently for a glimpse of these beautiful birds on the webcam. You will also be able to enjoy the wonderful sounds of nature which are always abundant on here. As with the eagles, once again - Enjoy! Responses to "Red-tailed Hawk webcam set up to watch from Fresno, California"
Mom and Dad out hunting ... I'll check back later. Have several fams of red tails on my property. This will be an interesting view. Thanks.